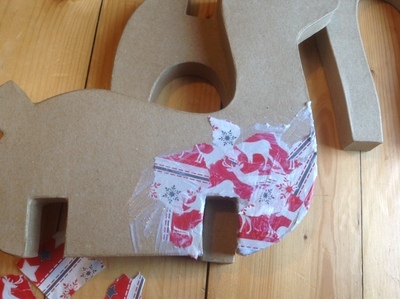 Decoupage is a simple and fun way to use up old wrapping paper. You could make the paper mache cardboard base yourself, or you can pick up all sorts of different kinds from craft stores: stars, hearts, boxes, or animals in all shapes and sizes. 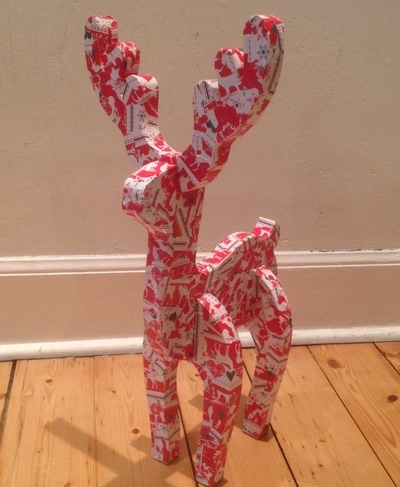 I found this reindeer and thought it would be perfect to use up some old reindeer wrapping paper. 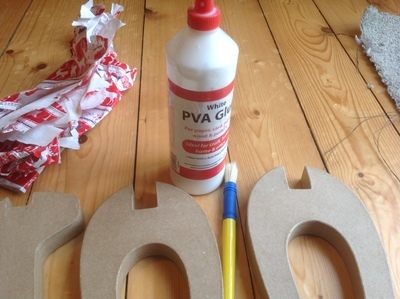 PVA glue diluted with a little bit of water to thin it down. You can choose to paint your shape in a colour similar to the wrapping paper. For my reindeer I would have painted in white or red. This means you can be less careful as any small gaps are not noticeable. 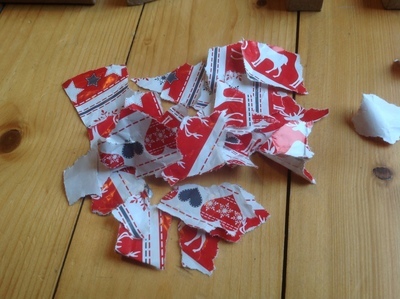 First, choose your wrapping paper and tear it up into lots and lots of little pieces. You will need quite a lot to cover a large shape like the reindeer. One section at a time, paint some glue on the shape and then stick a piece of wrapping paper on. 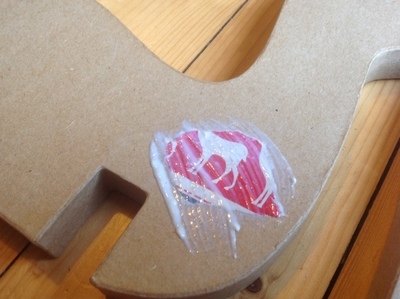 When you have stuck a few pieces on, go over them with the brush loaded with glue to smooth them down some more. When you have done it all, go over any sections to have missed and cover it up. Finally, varnish the whole piece with a clear varnish and leave it to dry.